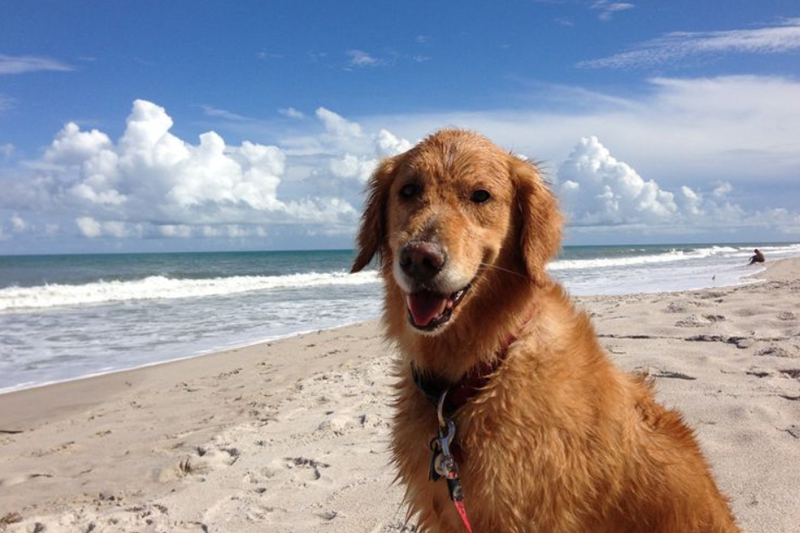 Visit some of our favorite pooch-friendly beaches in the Sunshine State. 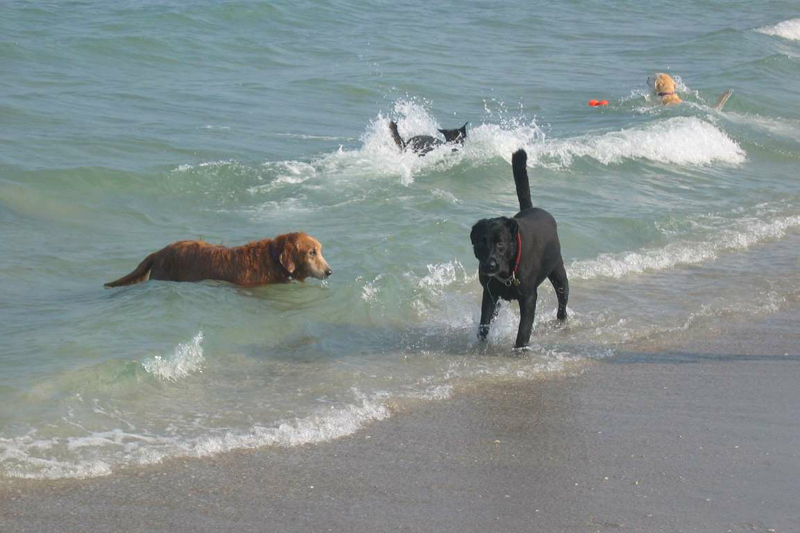 Located on an island paradise near St. Pete, Fort De Soto Park is heaven for dogs. The best time to visit is sunset. Not only can they hang out anywhere in the park on a 6-foot-leash, there's also a special off-leash area of the beach where they can freely rollick in the waves. 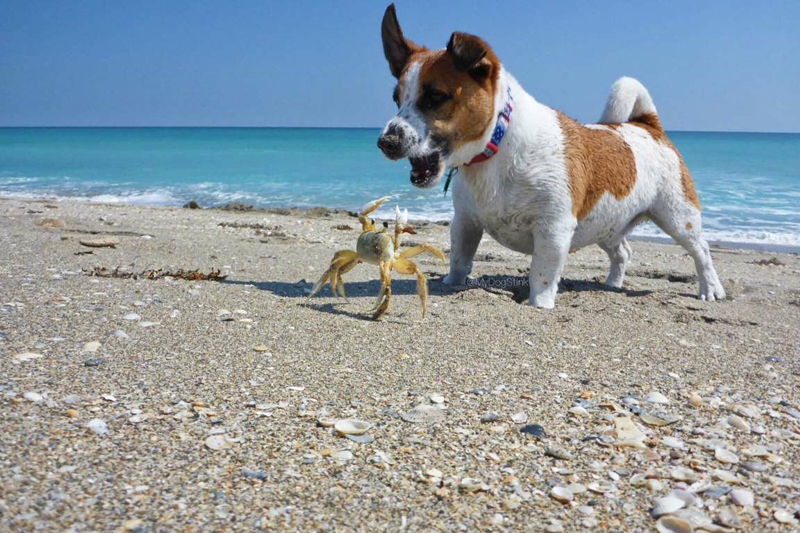 It's no wonder our friends at Southern Living ranked Fort De Soto as one of the South's Best Dog Parks. 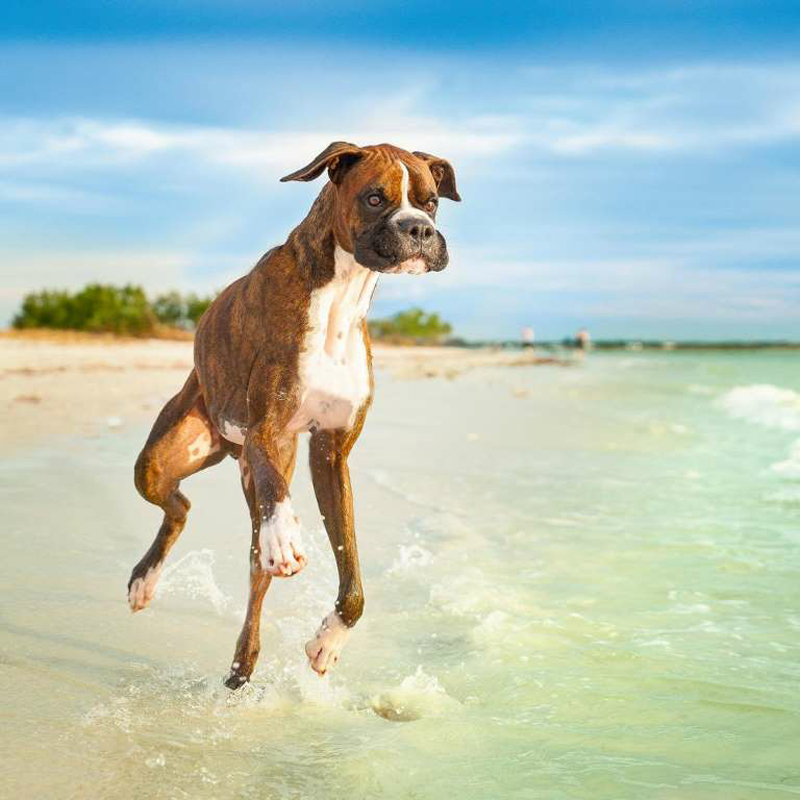 Pets can romp and play without leashes in the 24-acre dog beach in Walton Rocks Beach, located in between Jensen Beach and Hutchinson Island. There's plenty of room for pets to run free in the salty air and come face to face with lively sea life like our friend Stink. 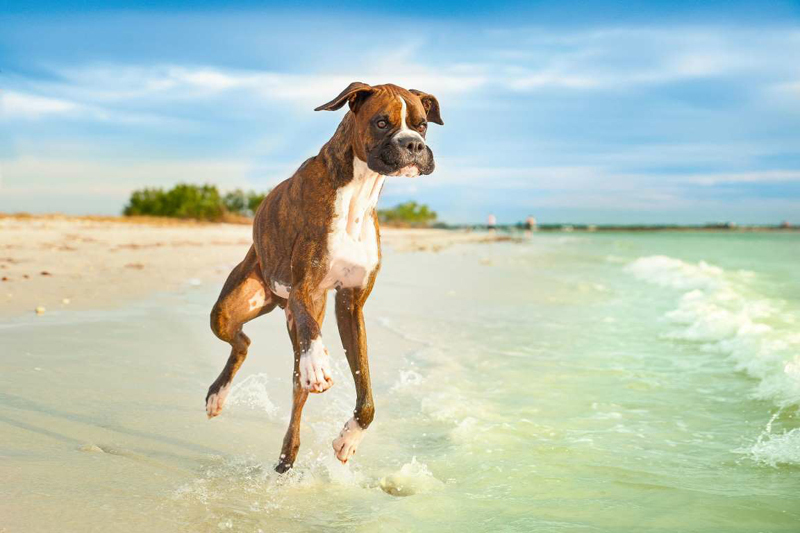 One of Florida's most gorgeous islands, Honeymoon Island State Park has a popular dog beach. The water is almost always calm, so the beach on the southern tip of the island is the perfect place for canines to wade through shallow surf and soak up those great views of the Gulf of Mexico. 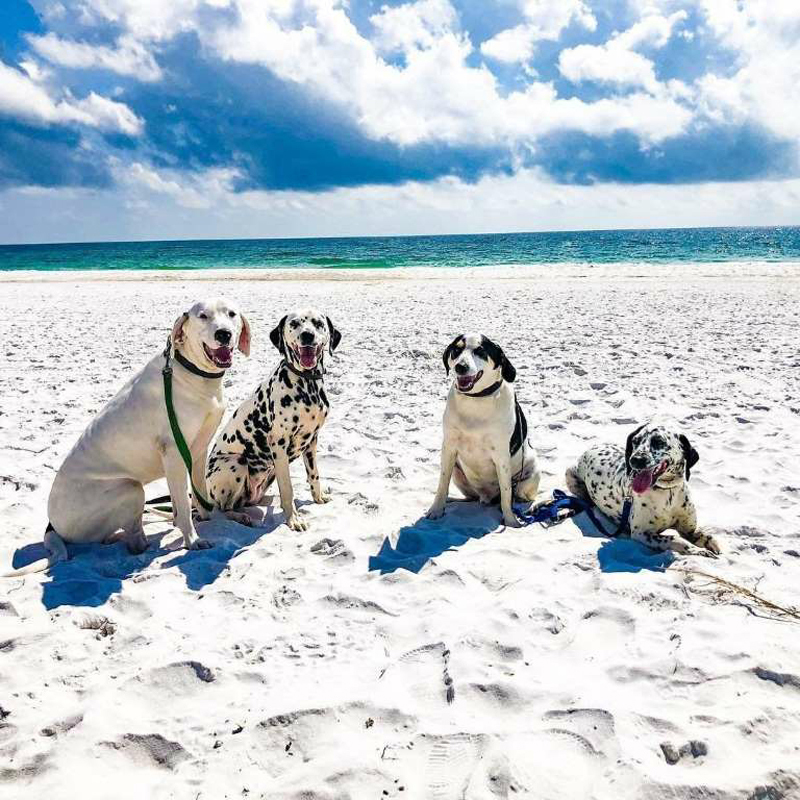 Come one come all: Florida's westernmost beach town has plenty of places for pooches to enjoy those white sand beaches and crystal clear waters. 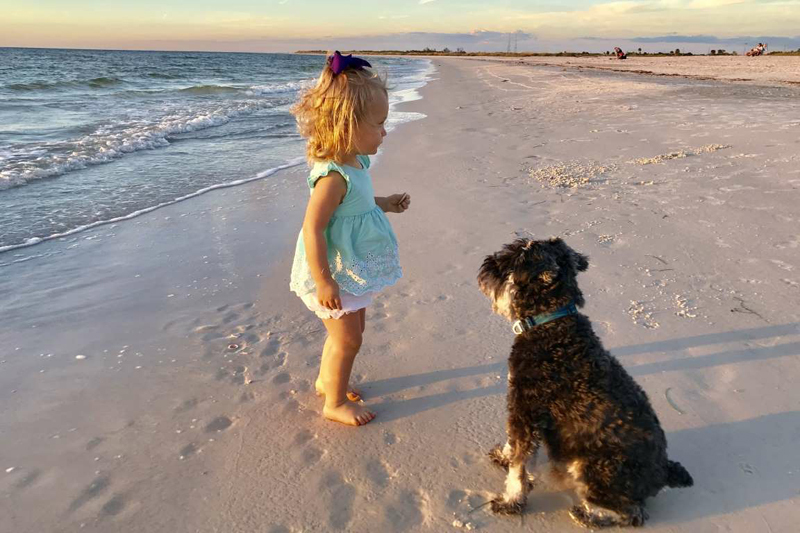 The Pensacola Bay Area has several dog-friendly beach areas, including two on Pensacola Beach: one along Fort Pickens Road and the other near Portofino Island Resort. On Perdido Key, there's a hidden dog beach behind Lost Key Golf Club. Run, dog, run! There's a sprawling 2.5-mile leash-free beach in Jupiter, the northern part of The Palm Beaches. The beach stretches along A1A from marker #25 at Marcinski Road going north to marker #59 on the south end of Carlin Park. And just an FYI: Jupiter hosts a bunch of fun dog-friendly beach events on the sand like the annual Hang 20 Surf Dog Classic and Pawchella—both in November. 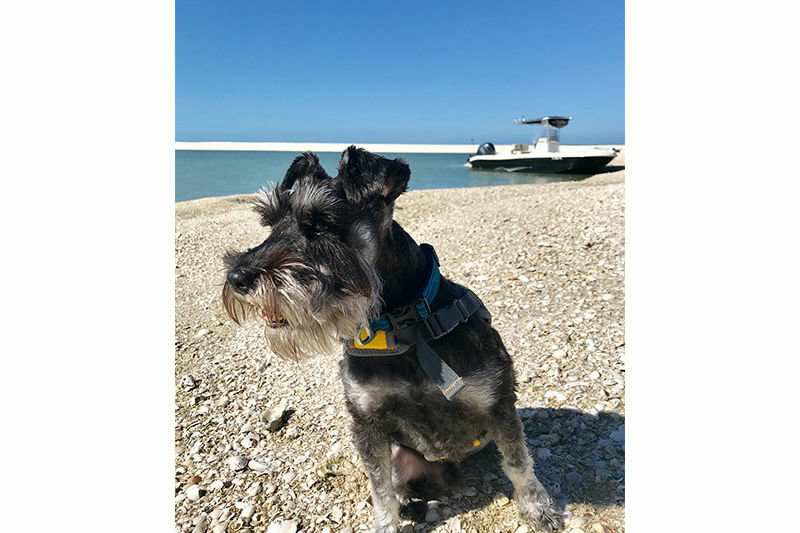 Only accessible by boat, there are tons of deserted islands off the coast of Naples and Marco Island where you and your four-legged explorer (this one is named Ponce de Leon) can discover beautiful beaches. 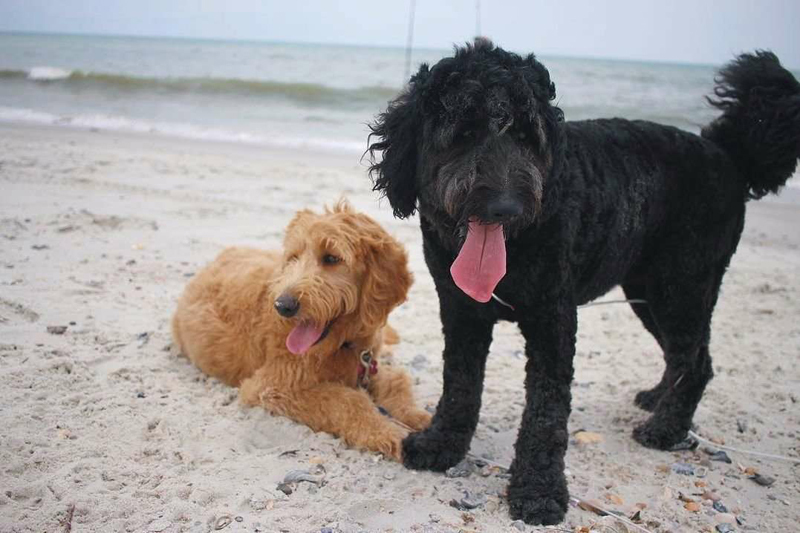 Check out Keewaydin Island, an 8-mile-long barrier island where dogs love to bring their humans. Talk about the perfect pose! Located in Melbourne on Florida's Space Coast, Canova Beach Park features a nine-acre dog park directly on the ocean. And nearby Cocoa Village is home to the lively Dog N Bone British Pub where they not only allow dogs, but they prefer them. Many of the beaches in Florida's oldest city also welcome furry friends. Build sandcastles with your pooch in St. Augustine Beach and all along the coastline in Vilano Beach and Ponte Vedra Beach. 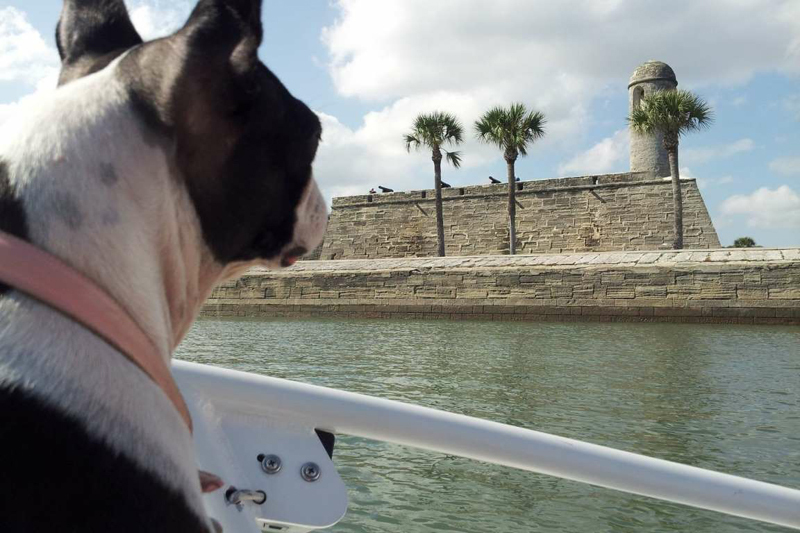 You can even take your dog on an eco-tour and see all the historic sites along the waterfront. The picturesque oceanfront village of Stuart, Florida won our America's Happiest Seaside Towns award in 2016, and plenty of dogs agree with the designation. 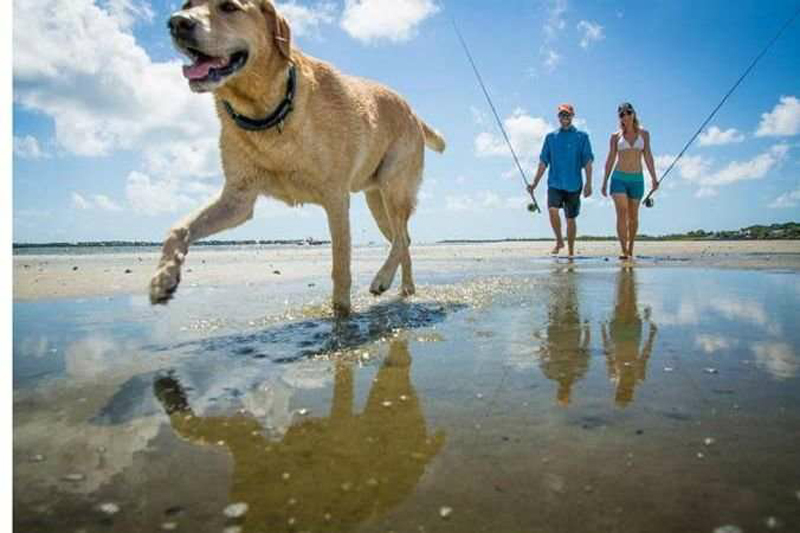 Hop on a boat and set sail for the Stuart Sandbar near the St. Lucie Inlet, where plenty of pooches live the salt life in style. An idyllic island located just off the coast of northeast Florida, Amelia Island is home to an abundance of beaches that Thor and Layla love. One hotspot in particular is Sliders Seaside Grill in Fernandina Beach. Enjoy a paws-in-the-sand-style experience and then cool off at the oceanfront Tiki bar and listen to live music. Yes, dogs are welcome! 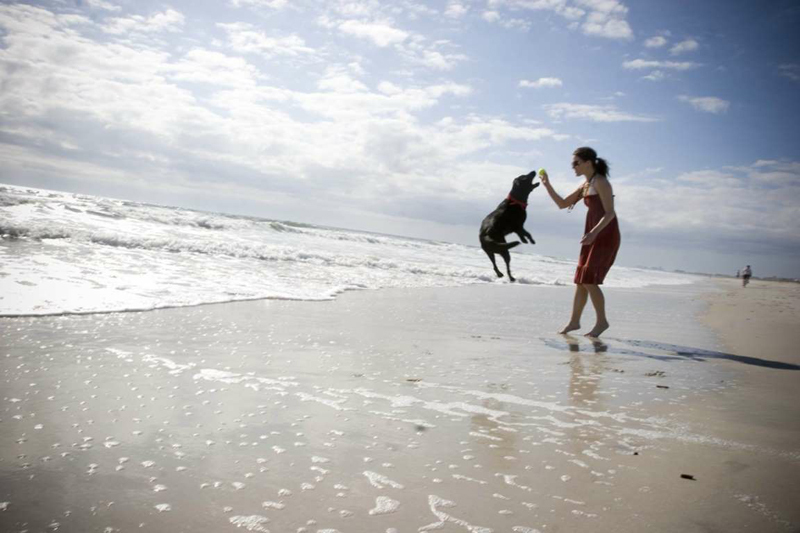 Jacksonville is home to 22 miles of white sandy beaches where you and your furry companion can play in the sand and swim in the Atlantic Ocean. 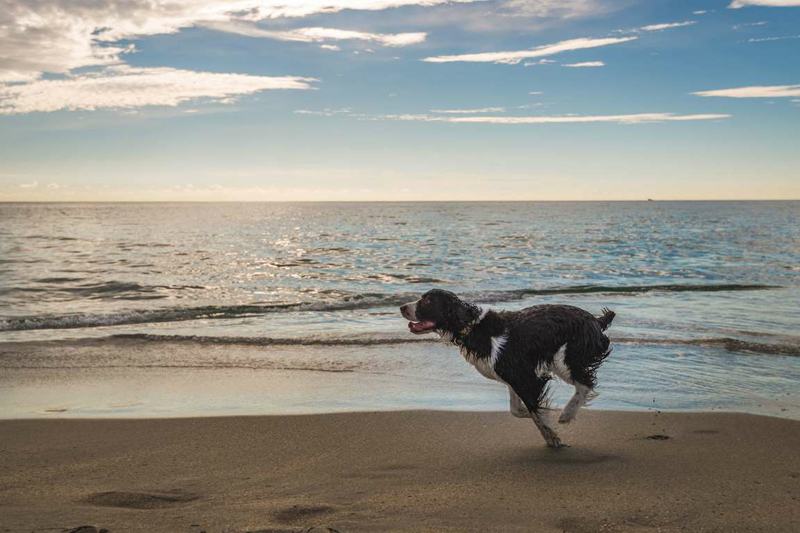 Besides popular Jacksonville Beach, there are lots of other area beaches that allow dogs like Atlantic Beach, Neptune Beach, Mayport Beach, and Hanna Park. In the sunny Fort Lauderdale area, Hollywood Beach has gone to the dogs. The paw-friendly section of the beach is located between Pershing and Custer Streets and is open during select times on Friday, Saturday, and Sunday. Talk about bark-worthy fun! 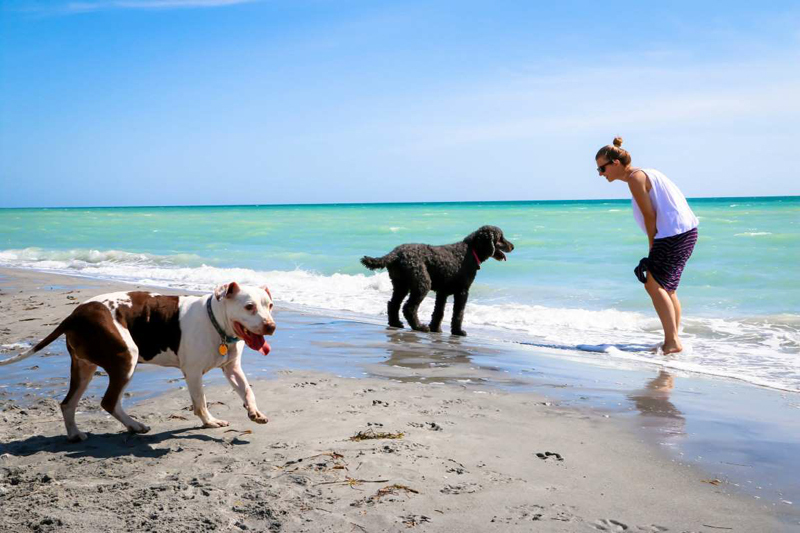 Four-legged visitors count Paw Park at Brohard Beach as one of the best places to play along Sarasota's 35 miles of picture-perfect beaches. Fido is free to frolic between sand and surf in this leash-free area of Venice. Be on the lookout for shark teeth!